Aviation Alliance, Inc. is a woman-owned Texas corporation with a reputation for thoroughness, knowledge of the aviation community, understanding of airport and airspace procedures and methods, and good engineering judgment. Because of our airports and aviation specialty, Aviation Alliance's staff can provide practical, high-value solutions to the challenges each project presents. The corporation began in 1980 as a construction firm designing and building airport lighting systems and navigational aids. Our principal-in-charge also began a sole proprietorship airport engineering company in early 1981. In 1986 the firms merged and since early 1990 the corporation has focused on airport consulting services. Our personnel perform airport planning, civil and electrical design of airfields, navigational aids siting and installation design, and airfield safety and security projects. We have participated in development of airspace procedures; in environmental concerns; aircraft fueling and fuel storage projects; and in terminal building, ARFF station, and hangar construction projects. Aviation Alliance has become especially well known for its airfield lighting and NAVAID design and consulting capabilities. Our hands-on investigative approach to projects has made us the electrical consultant of choice for many clients. In recent years, the majority of revenues has been from airfield electrical and navigational aids (NAVAIDS) installation design. 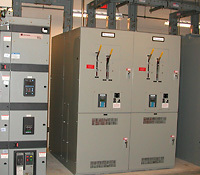 We provide specialty planning, power system studies, civil design, and expert witness services as well. Click here for a more complete list of services. 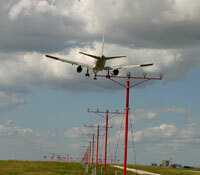 Located in Colleyville, Texas, Aviation Alliance is only 12 road miles west of Dallas/Fort Worth International Airport. Currently, our services are offered in 32 states as well as internationally.